Here at Life Change Baptist Church, we believe in the next generation! Unfortunately our world is plagued with evil and injustice. However, we believe that the next generation can make a significant impact by the power of the Holy Spirit. Life Change Kids exists to nurture the faith of the next generation by helping kids become lifelong followers of Jesus Christ. We have a passion to encourage children to become soldiers in God’s army against evil and injustice! We believe the best way to accomplish this goal is by providing a strong Biblical foundation, establishing strong relationships with the kids, building a safe environment to grow in their relationships with the adults and with the Lord, and encouraging kids to serve their world. Parents, All of our Sunday and Wednesday children's programs and care for nursery, toddlers, 4s and 5s, 1st through 6th grade are located in building two, which is across the street from the Worship Center. The ultimate vision for our students (grades 6th-12th) is that they would learn to shout for the glory of God whether by word or by action and realize that they don’t have to keep silent just because they are young (Jeremiah 1:6-7). The way this is accomplished is by making Disciples o﻿f Christ who find their salvati﻿on in Him and then seek to live for His glory. We meet upstairs in room 401 in the Children + Youth Building on Sunday at 10:00 am and Wednesdays at 6:30 pm. We meet Sunday Mornings at 10:00 am, upstairs in main worship building Room 201 (The Loft). We meet Sunday mornings at 10:00 am in room 105 (The Living Room) in the main worship building. We meet Sundays at 10:00 am, located in room 104 (The Curtis and Dorothy Thorpe Prayer Chapel) in the main worship building. Our Firm Foundations ministry is focused on people in their twilight years. This in depth Bible study is sure to challenge you and strengthen your walk with the Lord. Studying God's word and experiencing community with each other is just a taste of what this Sunday School group experiences weekly. Join us in Door E in the main worship building, we'd love to have you! We meet Sunday mornings at 10:00 am in room 103 (Fellowship Hall). 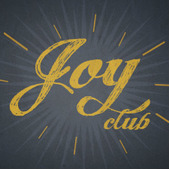 Joy club is a fun and exciting ministry for our "Just Older Youth Seniors" that takes place every Thursday at 10:30am. The ministry starts off with some fun games that leads into many different things each week from great speakers, music, concerts, and much much more. After the main programs are over we have a great lunch together and then many stick around afterward and play train or forty two. We gather together in the Fellowship Hall in the main building. Come and join in the fun!